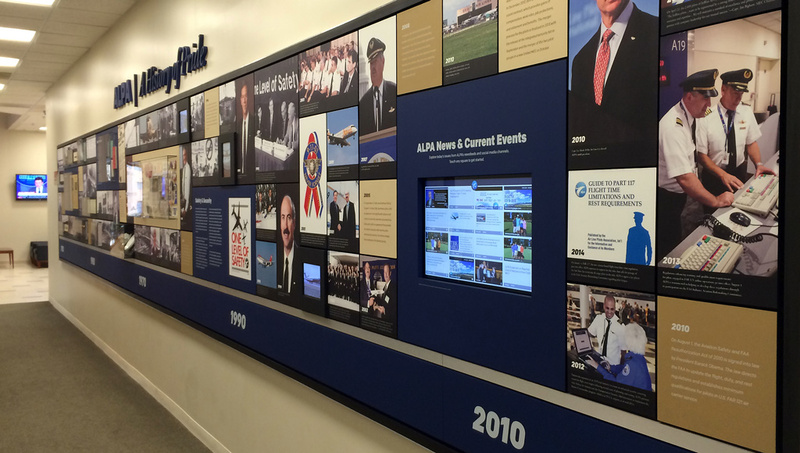 Our interactive kiosks for the Air Line Pilots Association (ALPA) brought new exhibits to life throughout their office. 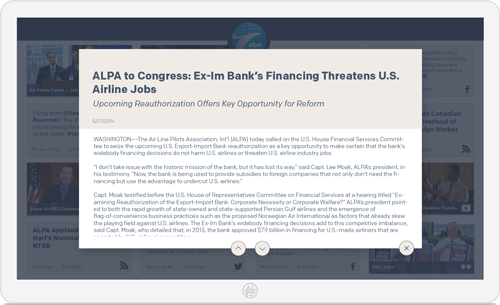 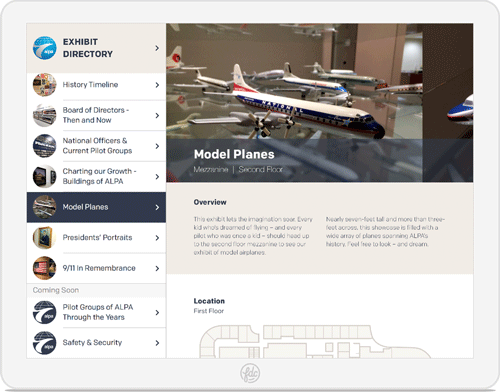 Our work helped visitors navigate ALPA's building, view historical photos, and explore the organization's social media activity. 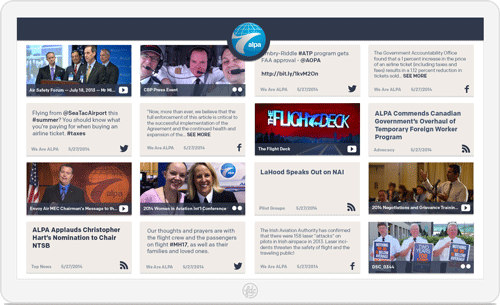 As part of their wall of history, we created several photo slideshows, as well as a custom and interactive social media feed of current events. 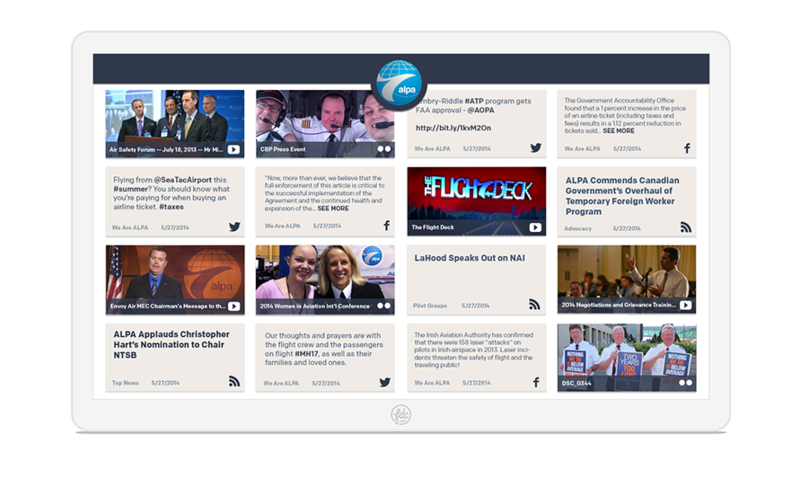 The feed played on a 27” touch screen, on which viewers could read the latest news, watch videos, and find upcoming events. 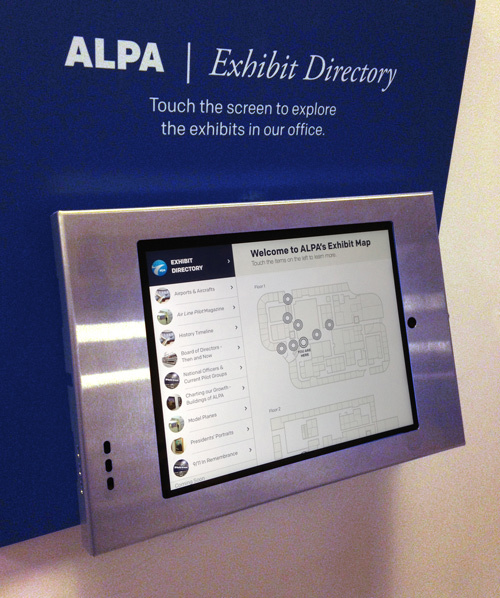 Their custom iPad kiosk welcomed visitors to the space, helped them find key exhibits in the office and way-find around the building.